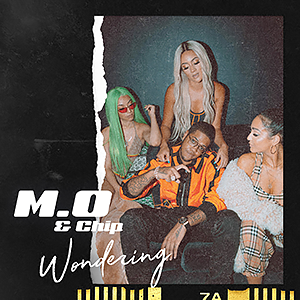 New single from Britain’s hardest working girl-group drops tomorrow; it follows up their suprise hit Bad Vibe and features UK rap legend Chip. I hope it's better than Bad Vibe. Song premieres on Mistajam's Radio 1Xtra show, so we'll have it within the hour. I hope Nadine is kind enough to lend you a spare. Video premiered on GRM Daily. I&#39;ll give it to them, they can do a lot on a low budget. The girls energy really makes the video work despite the fact they&#39;re basically just heading round to the shop for a bag of crisps (beef & onion monster munch, really Nadine???). They look so good as a group. The song is third on the New Music Friday UK playlist. Right behind Little Mix, so hopefully that will result in a strong start. Bad Vibe is the 39th most-streamed song of the year so far, hopefully this continues their success. The song is a kayute bop, the video is good. [center]Video premiered on GRM Daily. [youtube]The girls energy really makes the video work despite the fact they're basically just heading round to the shop for a bag of crisps (beef & onion monster munch, really Nadine???). Playlisted by Kiss FM UK and back at #199 on Spotify UK ! The song isn't doing very well on streaming (currently at #163 on Spotify & #132 on Apple Music), but I think that radio are going to pick it up eventually. I'm presuming they want to build some momentum on Spotify before the radio impact date, as opposed to having the song on radio when barely in the top 200. Maybe it will get playlisted after the Christmas freeze? I'd be shocked if radio don't give them a chance after Bad Vibe was such a big success. Even with radio support, I feel this track might struggle. There doesn't seem to be as positive a reaction to it.